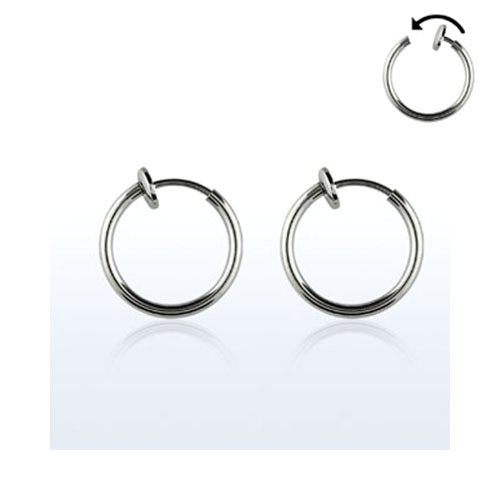 These earrings are Rhodium Plated Brass and are spring loaded for comfortable wear. The hoop size measures slightly larger than 7/16" and you will receive one pair with the purchase of this listing. Email sales@qualitynosestuds.com with any questions about this or any of our other products.